The challenge today is to bring a virtual gun to life - maybe one that you've spent a lot of time with in-game. 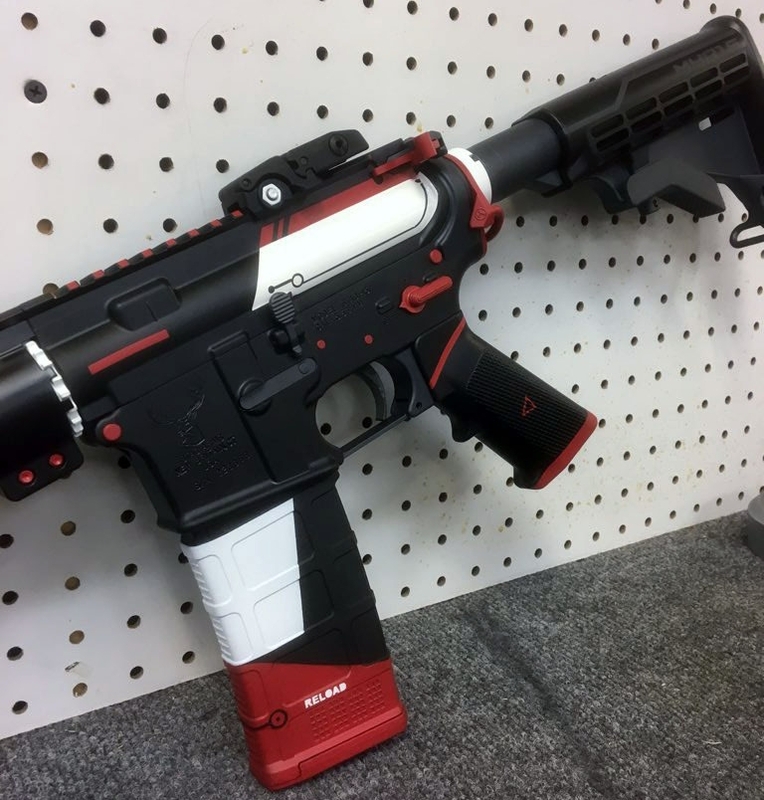 This customer had spent many, many hours playing Counter-Strike online with his friends, and always used his favorite skin. He asked us to bring that skin into the real world. As with any video game theme, It's not a 100% match to the in-game version, but it contains all the same visual layouts and themes applied to a slightly different firearm that exists in the model. 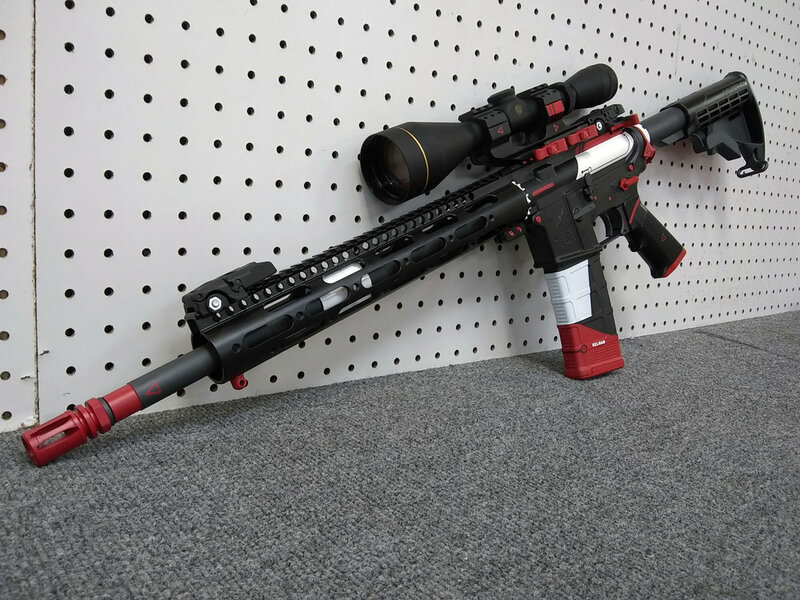 We adapted the different handguard and upper to match with the same color elements on the in-game model. 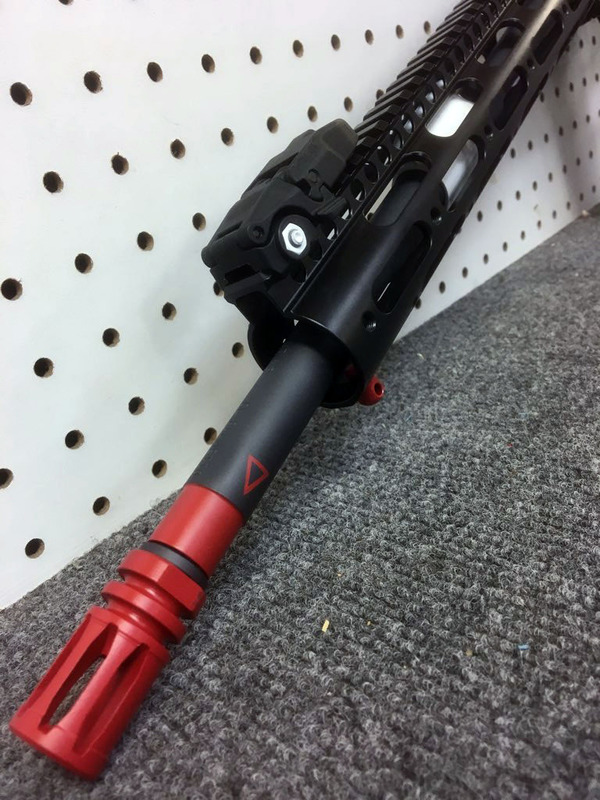 Since this firearm did not come with a suppressor, we applied the red to the flash hider and barrel instead, with the addition of some little triangles. We also extrapolated the same color scheme to the cantilever optic mount. This skin was seriously a lot of fun to do.